I’m not really up to speed on advancements in light-switch technology but everything I’ve seen at the hardware store shows that it hasn’t really changed much since it hasn’t really needed to. That’s ok but perhaps when it comes to your game room you want something that’s a little more fitting to the arcade theme. Hence the Arcade Light Switch by AlephDesign. 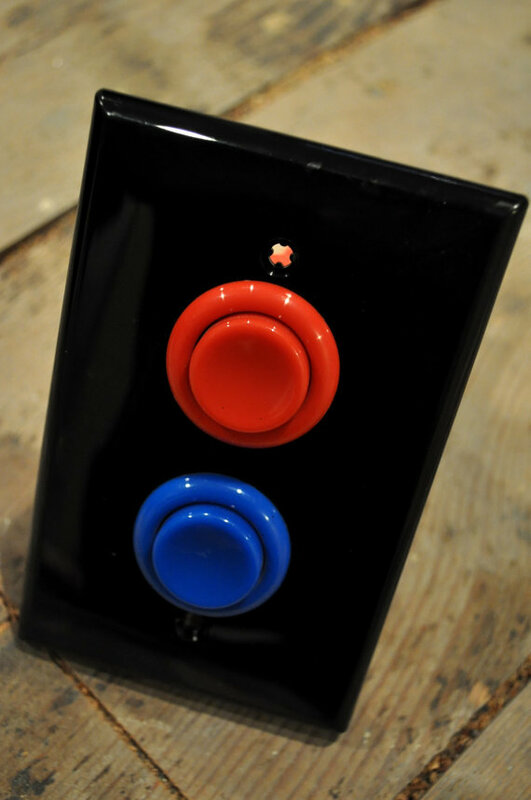 It’s pretty simple – just two standard concave arcade buttons for turning the lights on or off. I’m sure that an LED backlit version would be great for darker gamerooms. Haha this is amazing…I’m going to need to grab a few of these while they’re available. I wonder if he has japanese style switches. Cool idea. I made have to try making one of these myself.